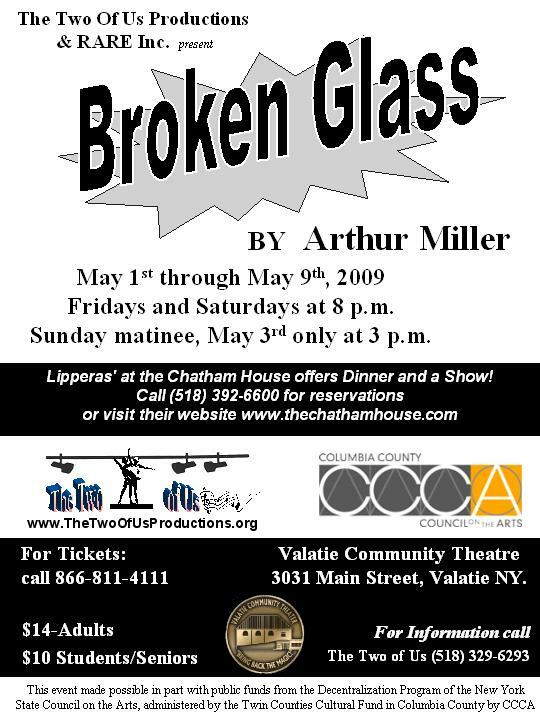 BROKEN GLASS had a great run of 6 performances at the historic Valatie Community Theatre in downtown Valatie NY. If you missed it, we look forward to seeing you at our upcoming productions. We had a great 2009 Season, starting with "Broken Glass" by Arthur Miller, playing a series of entertaining murder mysteries at venues across the Hudson Valley, and then our full orchestra production of "The Pajama Game" at the Hudson Intermediate School Auditorium in November. Thank you to our generous non-profit, corporate, and individual sponsors, But most of all, thank you to our enthusiastic and encouraging audiences, and to our many cast and orchestra members. 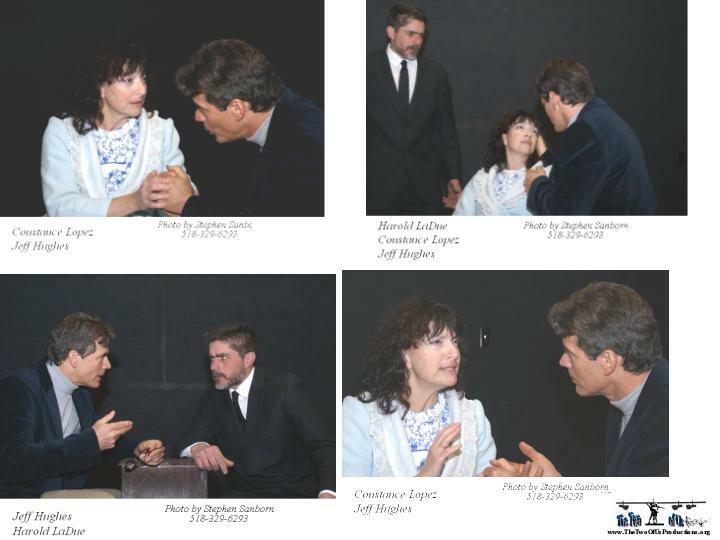 We are glad you enjoyed our productions in 2009 and look forward to seeing you in 2010. Today’s soldiers and their families have a direct connection between daily life and events thousands of miles away in the Middle East. Families and individuals with ties to this troubled region also scan the news daily, anxiously looking for information about their loved ones in those far away lands. So it was, especially for recent European immigrants, in the months leading up to World War II. Sylvia Gellberg, one of the characters in Broken Glass, shares this anxiety. She watches the increasingly violent events in Germany and Eastern Europe unfold through the Summer and Fall of 1938. The vivid pictures and lurid accounts in the newspapers of the day bring to life for Sylvia the traumas and horrors being experienced by those targeted by the facist violence and fear mongering. Like today’s anxious citizens, Sylvia feels as if she is there. Her inability to influence events become manifest when she develops an inability to walk. But, her inability to walk is actually the tip of the iceberg. Sylvia’s husband Phillip Gellberg discusses Sylvia’s condition with the family physician Harry Hyman. Harry’s probing conversations with Phillip and with Sylvia’s sister Harriet reveal a 20-year trail of impotence and an abusive relationship. We learn more as Harry discusses Sylvia and Phillip’s tangled problems with his wife Margaret. The drama takes an unexpected turn when Phillip is suddenly confronted with his own mortality and the shocking bigotry of his long-time employer, Mr. Case. We have a front row seat as Harry desperately probes for the key to helping Sylvia walk again. Broken Glass is being presented at the Valatie Community Theatre, 3031 Main Street in Valatie NY. The show opens May 1st 2009 for two weekends of performances, Fridays and Saturdays at 8pm and one Sunday matinee on May 3rd at 3pm. 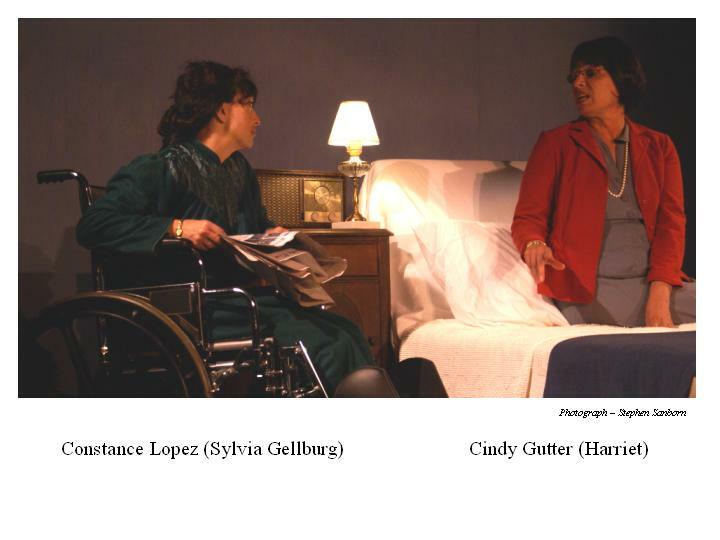 The Two Of Us Productions, working in collaboration with Roving Actors’ Repertory Ensemble, is pleased to acknowledge that this production is made possible in part with public funds from the Decentralization Program of the New York State Council on the Arts, administered by the Twin Counties Cultural Fund in Columbia County by CCCA. Tickets can be purchased in advance through www. TheaterMania.com, by calling (866) 811-4111, or at the door. Tickets are $14 and $10 for students, seniors, and groups of 8 or more. Lippera’s restaurant at The Chatham House in Chatham NY is pleased to offer dinner and a show discounts for those attending performances of Broken Glass. Call Lippera’s at 518-392-6600 for details and reservations. 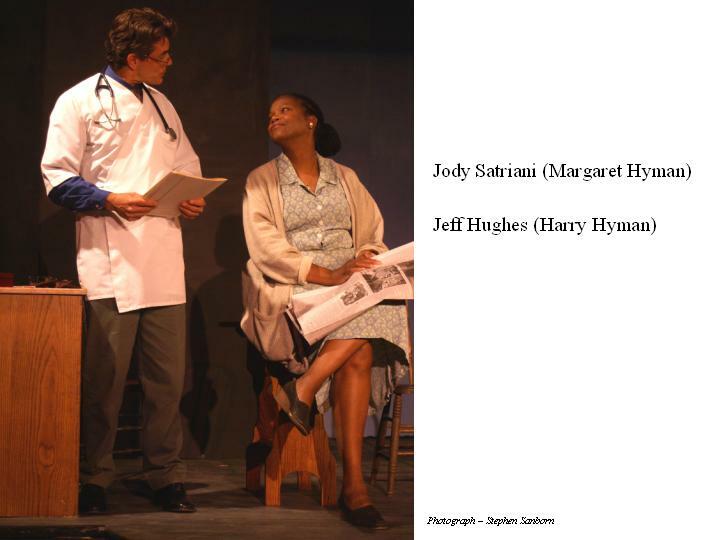 Pproduced by The Two Of Us Productions in collaboration with RARE Inc.
Production photos by Stephen Sanborn.